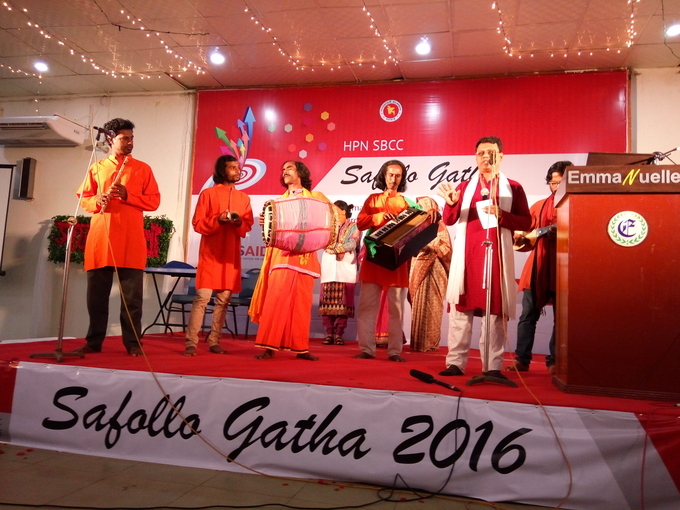 Inauguration of HPN SBCC Safollo Gatha 2016 by the honorable guests. 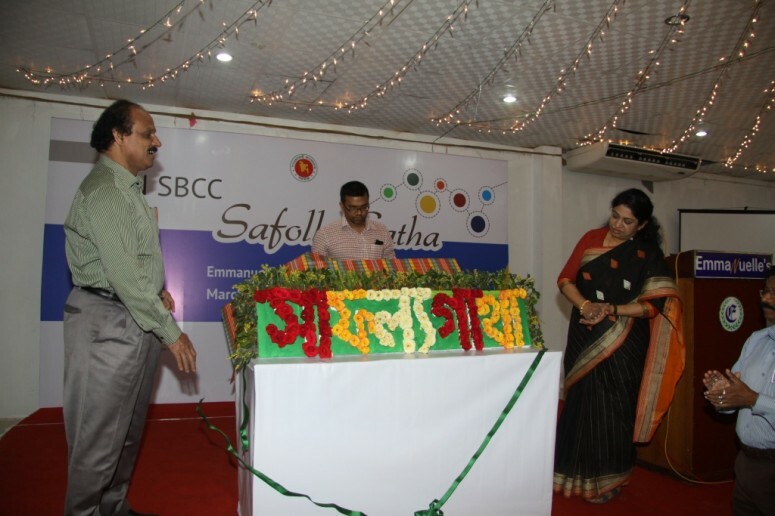 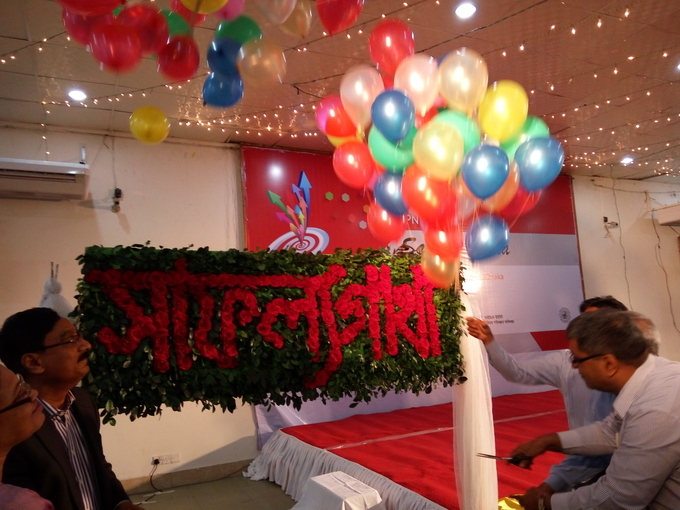 Roxana Quader Additional Secretary MoHFW and Nur Hossain Talukdar Director General, DGFP inaugurating the first Safollo Gatha event. 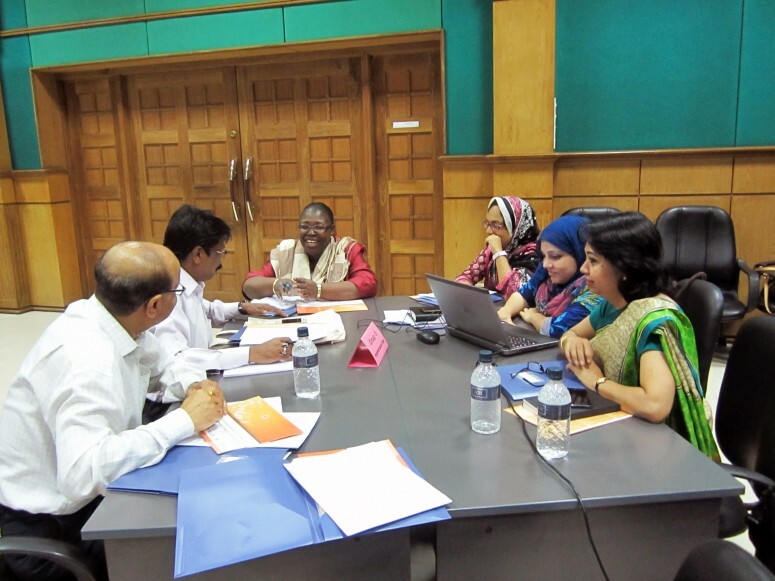 BCC Working Group members participating in an orientation workshop on the National Framework for Effective Health, Population and Nutrition SBCC. 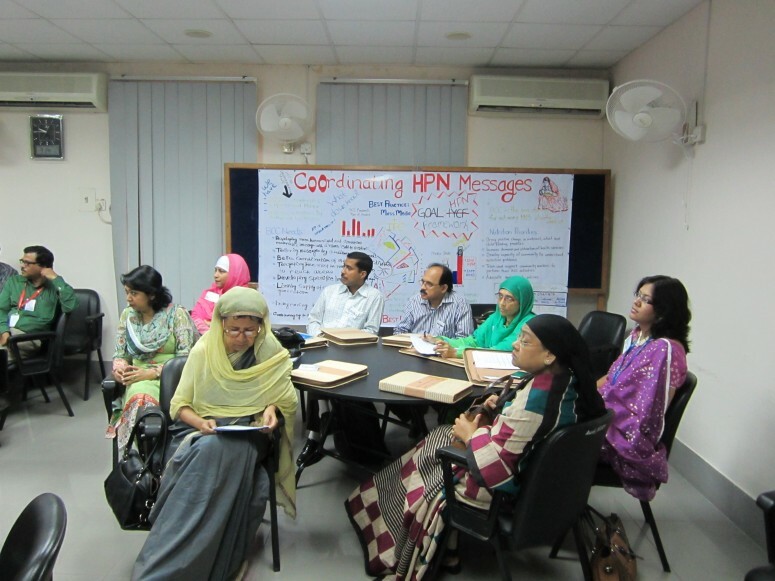 BCC Working Group members review updates to the HPN SBCC eToolkit for Field Workers. 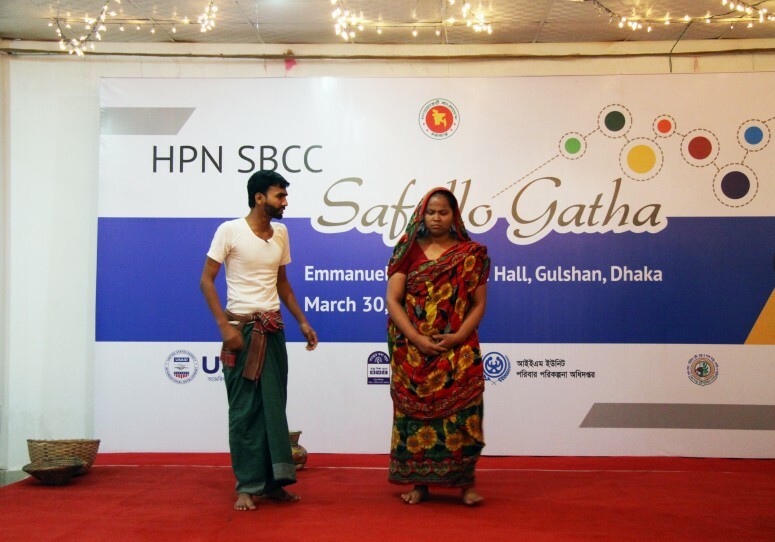 Each year, the BCC Working Group showcases best practices for SBCC for Health, Population and Nutrition at its Safollo Gatha event. 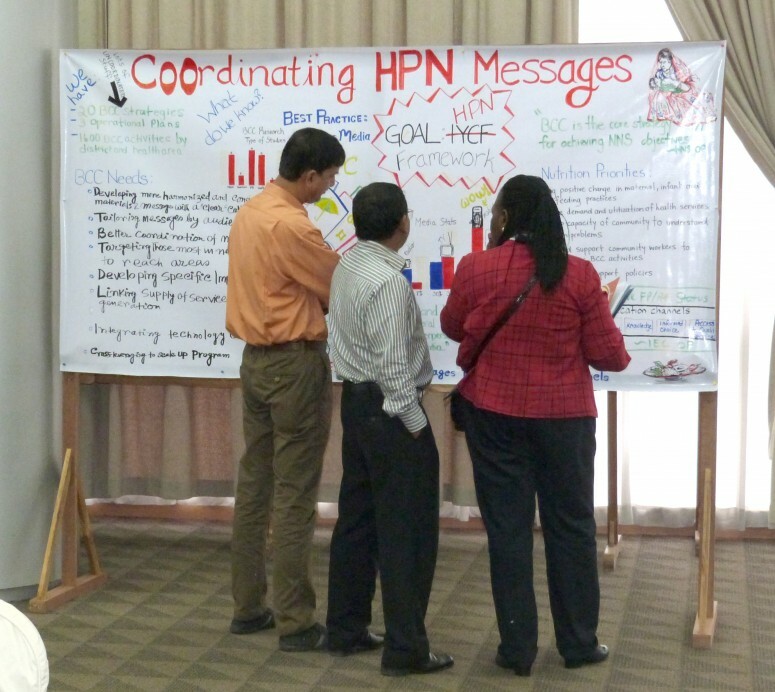 BCC Working Group members worked together to develop the National Framework for Effective Health, Population and Nutrition SBCC. 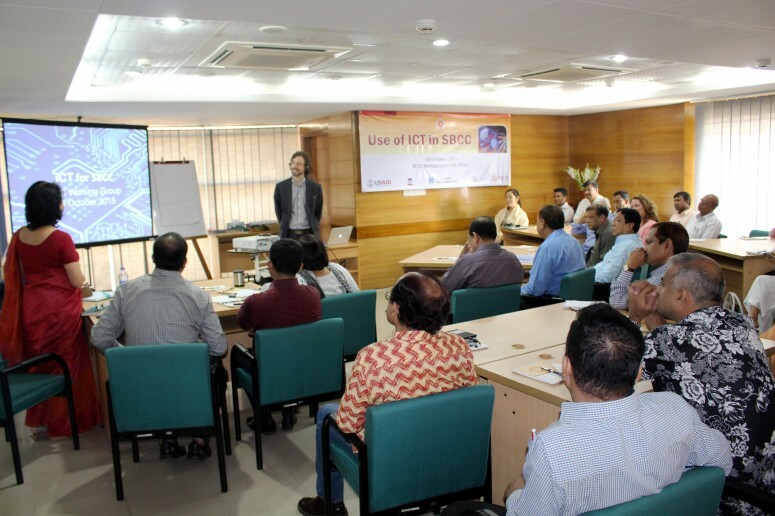 James BonTempo, Director of ICT and Innovation for John Hopkins CCP, leads a workshop on using ICT for SBCC. 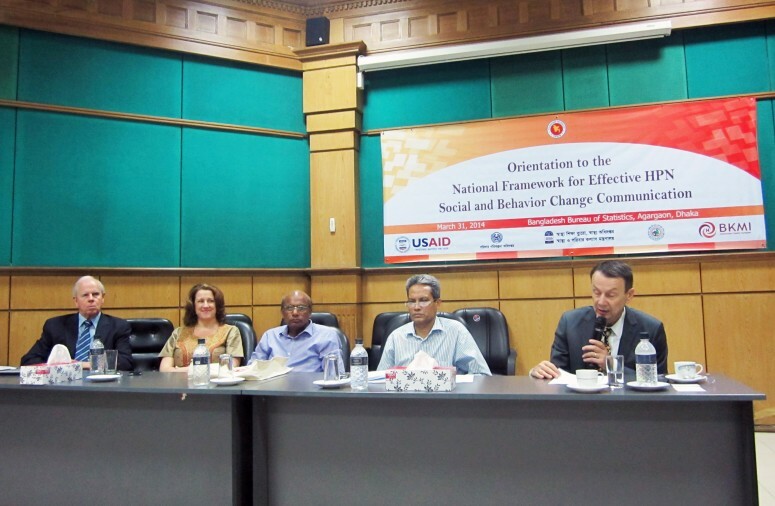 Guests on the podium during Orientation to the National Framework for Effective HPN SBCC. 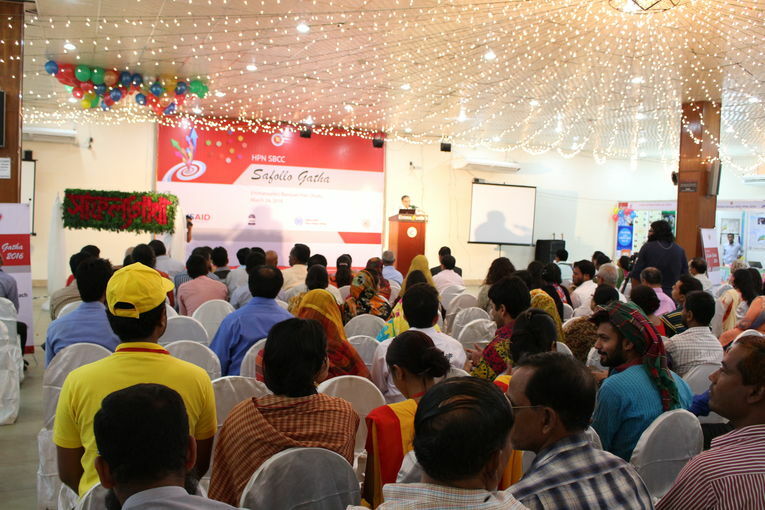 The Bangladesh Behavior Change Communication (BCC) Working Group provides a platform for Social and Behavior Change Communication (SBCC) professionals from different backgrounds to learn, network and share experiences related to SBCC for Health, Population and Nutrition (HPN) in Bangladesh. 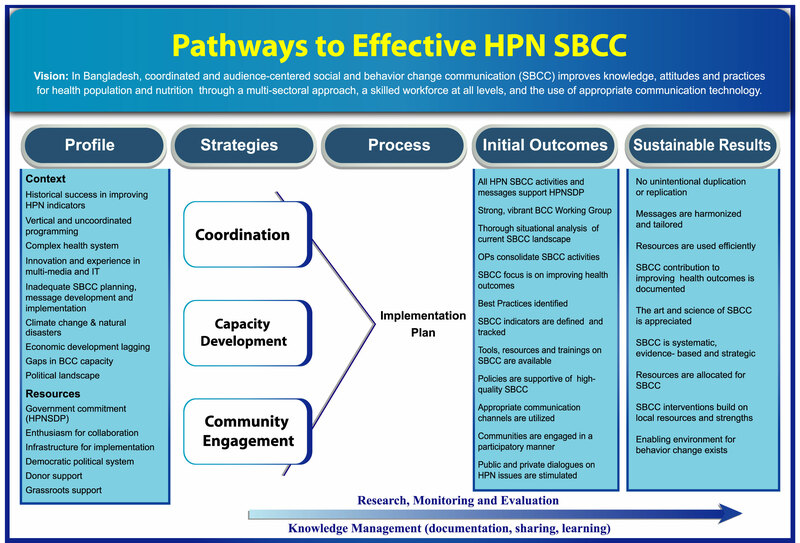 The BCC Working Group promotes the coordination and harmonization of HPN SBCC efforts in support of the prevailing Sector Development Program for the Ministry of Health and Family Welfare. 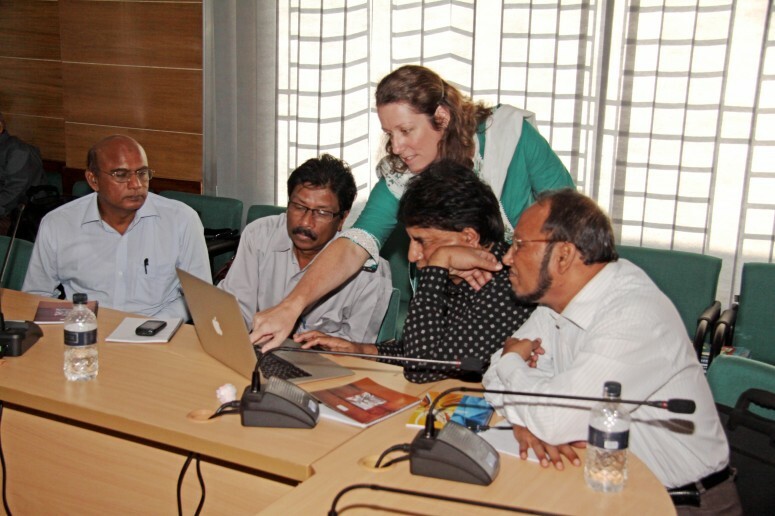 eHealth Pilot Program for Fieldworkers has launched! 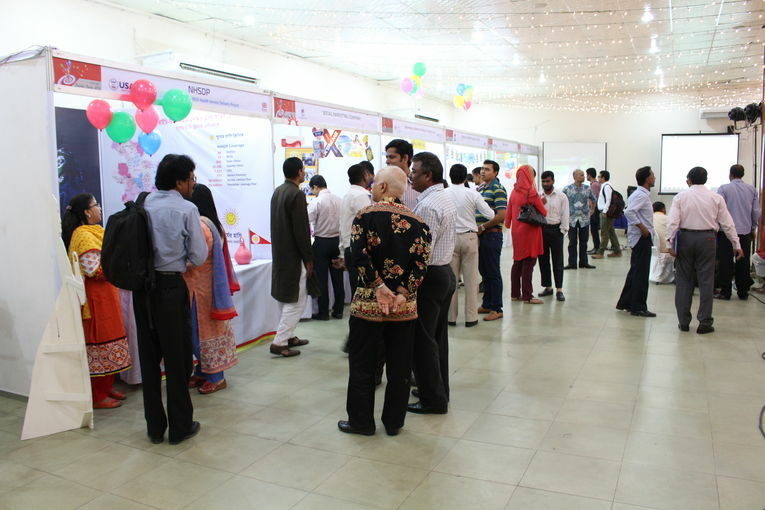 The Best Practices Sub-group Needs Your Feedback!